1. Your travels as told in The Yellow Envelope turned you into a wonderful storyteller. Is that fact or speculation? In other words, do you think you would have been such a master at storytelling if not for the experiences during your travels? 2. “The Yellow Envelope taught me how to give, not just money, but to give of myself.” This is just one of a number of thought-provoking quotes from The Yellow Envelope. Do you think your reflections on your travels would have been different if the yellow envelope and its instructions weren’t part of it? 3. If you must pick only one person or only one experience you’ve encountered during your travels and write a whole story about them/it, who/what would it be and why? 4. Being pregnant while finishing off the last of your travels- best and worst moment? After driving in India all other roads seem pretty tame! I still don’t love traffic but I try to deal with it the best I can. 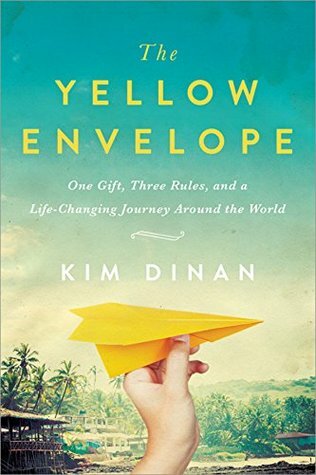 Kim Dinan is the author of The Yellow Envelope and Life on Fire. Endlessly curious about the world, she has backpacked to over twenty-five countries on five continents and has called India, Mexico and numerous campgrounds around the USA home. Her love of the outdoors landed her a coveted job on Backpacker Magazine’s Get Out More Tour and has compelled her to climb mountains in the Himalayas, raft frigid rivers in Patagonia, and walk five hundred and fifty miles across Spain on her own. Her writing has appeared in Parks and Recreation Magazine, Northwest Travel Magazine, Trailer Life Magazine, Go Explore Magazine and OnTrak Magazine, among others. Her popular blog, So Many Places, was named one of the best outdoor blogs by USA Today and has been featured online by such sites as Huffington Post and BuzzFeed. She is a member of the Outdoor Writers Association of America and lives in Ohio with her husband and daughter. What a lovely interview! I can't imagine being pregnant overseas. Morning sickness was bad enough in an environment I could completely control! I'd already added this book to my TBR but now I'm especially excited!